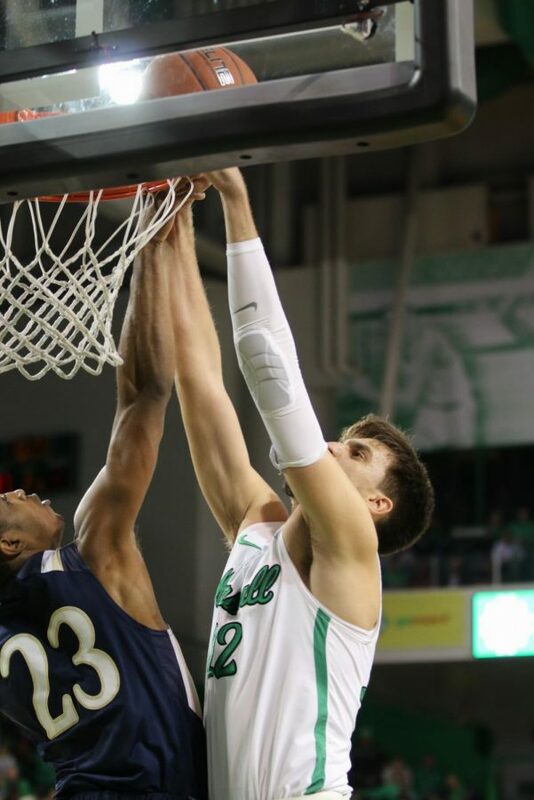 Marshall junior forward, Ante Sustic, elevates for a dunk over Mount St. Mary's defender Brandon Leftwich. Sustic scores five points in the contest. 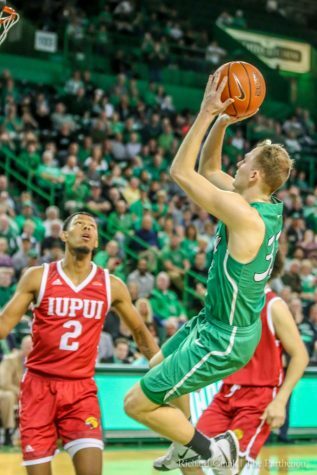 Marshall University men’s basketball senior guard Jon Elmore used his three-point shot Wednesday to lead the Herd to a 98-75 defeat of Mount St. Mary’s at the Henderson Center. Elmore said in a post-game press conference that he liked what he saw from his team, especially in the second half. Elmore led the way for the Herd with a game-high 24-points. Elmore shot 8-for-18 from the field and 7-for-14 from three-point range—his best three-point percentage of the season. 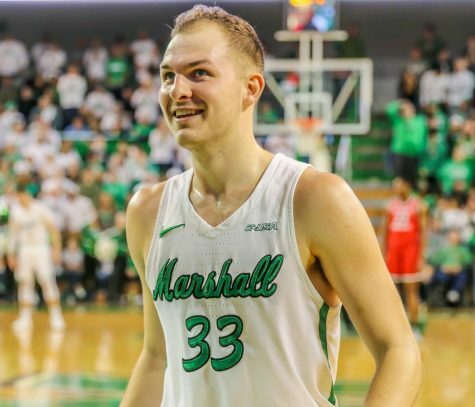 For the fourth time since 1996 and the first time since 2017, Marshall tied its program record of 19 three-pointers in one game. 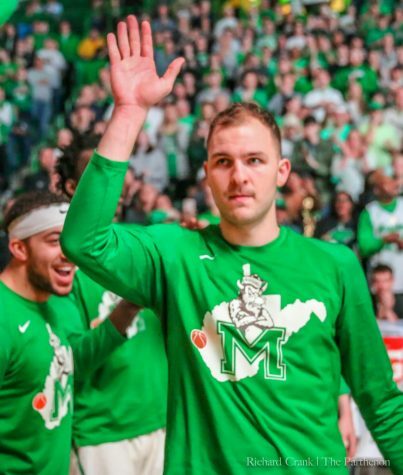 As a team, Marshall shot 19-for-45 (42.2 percent) from three-point range—its best percentage of the season. The Herd also shot a season-best 50.7 percent from the field (37-73). 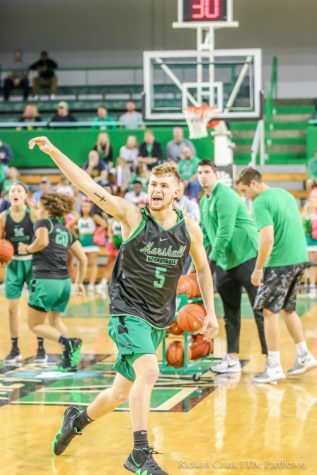 Elmore said he thinks the Herd will break the program’s single-game three-point record by the end of the season. 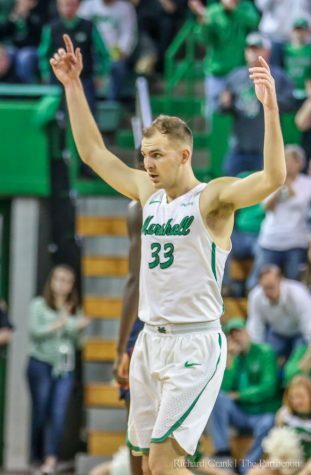 Marshall had four separate players in double-figures. In addition to Elmore’s 24, senior guard C.J. Burks scored 16, sophomore guard Jarrod West scored 14 and sophomore forward Jannson Williams scored 10. 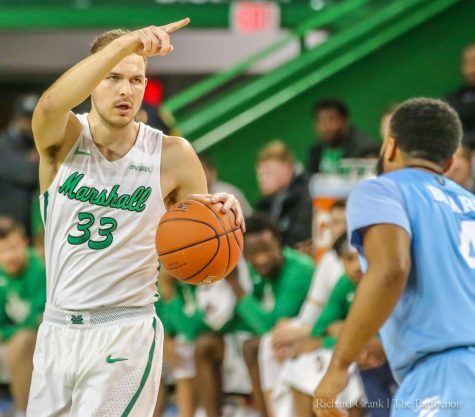 Marshall head coach Dan D’Antoni said shooting three-pointers is part of the team’s identity, but the Herd can adjust based on opposing defenses. Marshall’s defense played a significant role in the win, as well. 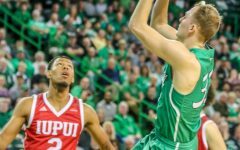 The Herd forced 24 Mount St. Mary’s turnovers. The Herd converted those turnovers to 33 points in the contest. 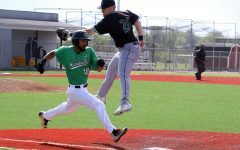 West led the team with four steals and said the Herd’s defense played well. 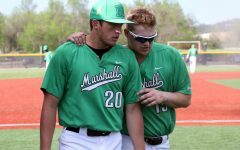 Comparatively, Marshall turned the ball over nine times—its lowest total of the season. West said the Herd’s and Mount St. Mary’s turnover ratio was crucial. Despite the 25-point difference in score, Mount St. Mary’s started the game with the lead and held it for the first 10 minutes. D’Antoni credited the Mountaineers with their performance and said they are a good, young basketball team. The Mountaineers shot 28-for-54 from the field and 8-for-18 from beyond the arc. 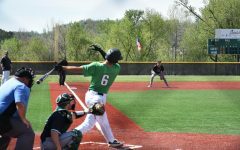 Marshall improved to a win-loss record of 3-0 on the season, while Mount St. Mary’s moved to 0-3. 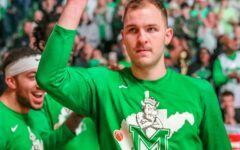 D’Antoni said if the Herd keeps a team mentality, rather than an individual one, the Herd will achieve success this season. 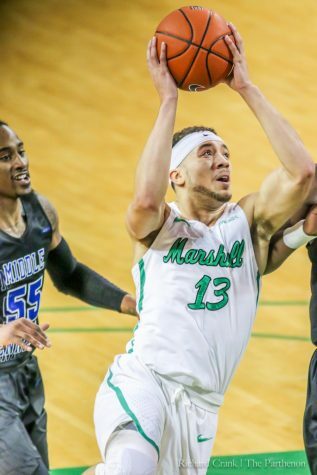 Marshall plays its next game Monday at home against North Carolina A&T at 7 p.m.